This is a dog named Coal. He’s a chow chow husky mix. 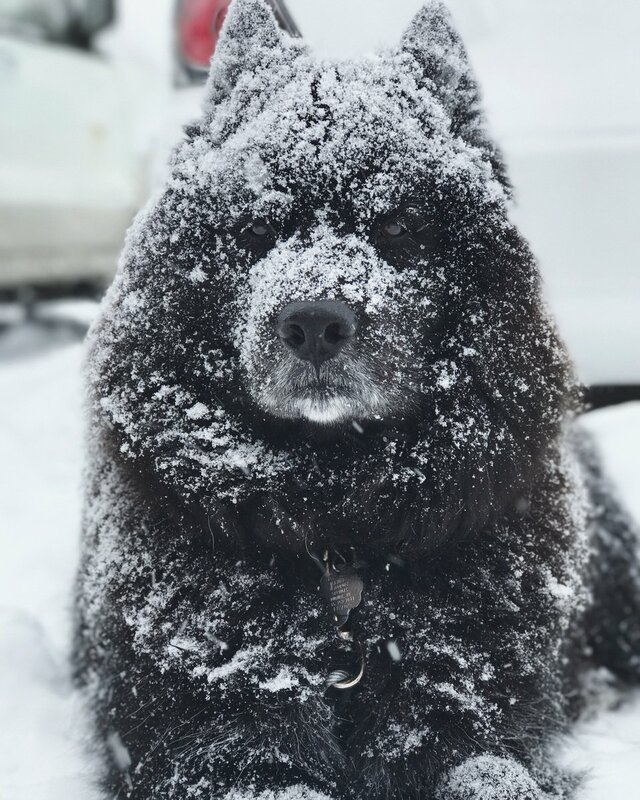 Getting him to come inside when it’s snowing is quite the challenge.